What is the website mlmpeople.eu used? Do I have to work with any MLM company, if I could use the services of website mlmpeople.eu? No, you needn't. If you are interested in this issue, this is perfect opportunity for you. You get lots of information in different MLM companies from other users. If something is free, people don’t appreciate it. The contacts become more valuable with paid registration, because only people who are really serious register here. We also believe that the registration fee 5 USD is the negligible expense in comparison with the payments for admission in any MLM. If anybody "has not" 5 USD, it’s hard to persuade him to your MLM. So it is nonsense these people register to the contact database. How can I pay for registration / credits? You pay by PayPal for all services in mlmpeople.eu (www.paypal.com). Why was created a system of credits and all contacts aren’t directly available? We want to create the best quality of the contacts. We don’t want to create contact list for spam. System of credits is the suitable solution for it. You have to carefully choose who does actually connect and who don’t. 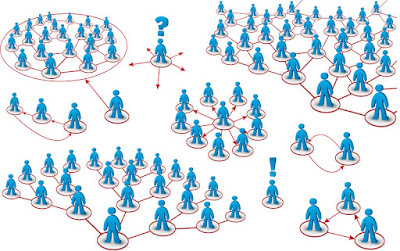 We think, if all contacts were available for all, some users would not read the information about another people and they simply sent "their" offer to all registered people. And we don’t want it, because after that nobody had any interest due overload and the website would lose the sense. How many time have I to use my credits? Credits haven´ t expire time, it depends only up to you. How to contact people from the directory? Almost all users who are registered already working for a MLM company. So think carefully your progress before approach somebody. Think what you write, you have to take. Don’t sent dozen deals and phrases that you give to ordinary adverts. These people are probably doing well, and it isn´ t probably dazzle for them. Since purchasing the invisible mode, your profile will no longer be displayed for sale in the contact database to others. The contact remains visible only for those who already bought it in the past. It is the ideal solution for those who just want to gain new contacts, but don’t want anyone to contact you. Why disappeared me already purchased contact? If this happened to you, then the user has deleted his account in mlmpeople.eu. It would not be fair to his contact was still available, when he hasn’t more interested. How can I delete my account and what happens? In your "profile" you have at the bottom link to delete the account. You lose all gained contacts and credits. Your contact will be completely deleted from the database. Do you refunded unused credits back? No we don’t. However, the credits haven’t expire time. You can use then any time you like. Are user profiles reviewed by administrator before publishing? No there aren’t, we assume that if registration is paid, users will behave sensibly. However, if you come across something inappropriate, then please inform us and we will try to correct it.